When it comes to finance, most people like stability. Let's take a look at what are annuities and when they are a good choice. Annuities are contracts between you, referred to as the annuitant, and a financial institution, such as a mutual fund or insurance company. In these contracts, you commit to make a lump sum payment or to follow a schedule of periodic payments in exchange for a guaranteed income stream. Under most annuities, you have to hold the annuity until age 59 1/2. The financial institution, often an insurance company, uses your annuity contributions to make investments based on your target start date for your distributions. Financial institutions make money from annuities by charging recurring monthly, quarterly, or annual fees, which are all deducted from your annuity funds. The more complex the annuity, the more additional fees you can expect. Additionally, there is the infamous surrender charge. If you decide to cancel your annuity during the surrender period (ranging from 4 to 15 years), then the financial institution is entitled to keep a portion of your deposits. During the "ramp-up" period, all monies contributed to an annuity grow tax-deferred until they are withdrawn. You are still responsible for applicable income taxes on your contributions, but your earnings are tax-free until withdrawal. Unlike retirement accounts, annuities have no limits on how much you can contribute. The tax deferral benefit and absence of contribution limit make annuities attractive for wealthy individuals as retirement planning tools. Most annuities allow you start collecting payments at age 59 1/2, but there are some exceptions (e.g. immediate annuities). The financial institution issues distributions for a fixed amount of time (usually 10, 15, or 20 years) or until the death of the beneficiary. When Are Annuities a Good Choice? Annuities offer an option for those who have maxed out their contributions to other retirement accounts. They fall under three broad types: fixed, variable, and indexed. Each type offers different income potential and is appropriate for a different purpose and reason. Let's start with fixed annuities. Fixed annuities offer you the most stability because they guarantee a stream of income. The financial institution holds all of the market risk. This is why fixed annuities are a good choice for people that are very risk averse when it comes to their retirement planning. On the other hand, deferred annuities require several smaller payments over several years. These annuities start issuing distributions once you turn age 59 1/2. If you receive distributions earlier than that, then the IRS applies an additional income tax. Young workers should look into deferred annuities so that they can take advantage of the tax deferral benefit. Fixed annuities typically offer a 5% return. When investing in deferred and immediate annuities, you can expect around 1.5% of your total investment to be assessed towards expense charges. For example, if you invest $10,000, then you can expect about $150 to go towards expense charges. When investing in deferred annuities, you can expect the surrender charge to be around 7% of the total investment if the annuity is cashed during the first year. The surrender charge usually decreases by 1% per year until it reaches zero. Remember that withdrawals before age 59 1/2 receive an additional 10% income tax by the IRS. The minimum investment requirement for deferred and fixed annuities is typically between $1,000 and $5,000. 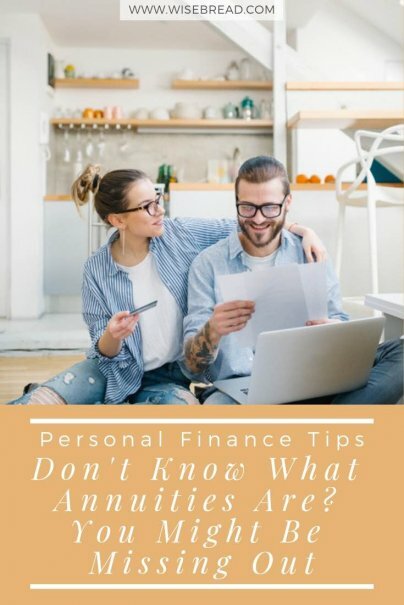 For example, Prudential requires a minimum of $3,500 for an immediate annuity. Unlike fixed annuities, variable annuities offer you a higher income potential. The catch is that your return is no longer guaranteed and you do hold part of the market risk from the annuity investments. Variable annuities provide you more freedom in selecting investments. Some variable annuities offer a death benefit so that the beneficiary is guaranteed your original investment, in case you pass away. Variable annuities are useful tools for estate planning. If you would like to set up a steady source of income for your children, grandchildren, then variable annuities may be a good choice. It is a good idea to add the death benefit to your annuity to protect your estate. On the average, variable annuities provide a 7.1% return. They offer a minimum return on your investment in case of your death (known as the "death benefit") while not forgoing excess gains in case of good investment performance. Financial institutions may or may not charge a fee for the death benefit. Make sure to check this when shopping for a variable annuity. On top of the average 1.5% expense charge, you can expect an extra 0.82% of your total investment to go towards subaccount management fees. The greater availability of investment options comes with an extra cost per selected subaccounts. This means that if you invest $10,000 in a variable annuity, you can expect to pay at least $232 in fees. When investing in variable annuities, you can expect the surrender charge to be around 7% of the total investment if the annuity is cashed during the first year. The minimum investment requirement for variable annuities is typically $10,000. For example, Fidelity requires $10,000 for a variable annuity. Under this scenario, the annuitant receives distributions that are indexed to a market benchmark, such as the Dow Jones or the S&P 500. Indexed annuities often offer a minimum return, but it depends on the financial institution issuing the annuity. Indexed annuities are a good choice for people that would like to have just a bit more market exposure than that of fixed annuities but less than that of variable annuities. Indexed annuities are full of additional rules and fees. If your selected market benchmark returned 12% over a period, and your annuity has a cap of 6%, then you only get 6%. The cap of an indexed annuity determines the maximum return you can get on an indexed annuity. Another way that an indexed annuity can limit your return is through the participation rate, which is the annuity's participation in the index's return. For example, if the annuity's participation rate is 90% and the benchmark went up by 5%, then your return is 4.5%. On an indexed annuity, you can expect a spread fee. This is a percentage fee that may be subtracted from the gain linked to the market benchmark. If the benchmark gains 15% and the spread fee is 5%, then your annuity return is 10%. The minimum investment requirement of an indexed annuity ranges between $5,000 to $10,000. For example, Jackson requires $5,000 and $10,000 for indexed annuities, depending if you meet its qualification criteria. From these three broad categories: fixed, variable, and indexed, you can find all kinds of different annuities. In general, the terms of fixed annuities are easier to understand than those from variable and indexed annuities. However, the return of a fixed annuity is lower than that from variable and indexed annuities. No matter the type of annuity you prefer, the consensus among financial advisers is that you should not choose an annuity within an existing retirement account because those products already have a tax-deferral benefit. Plus, the management fees of annuity within a retirement account are quite high, particularly the more features you add to your annuity. Different financial institutions provide different annuity features. Make sure to read the fine print and choose one that matches your level of risk tolerance, your investment objective, and your desired start date for distributions. What is the type of annuity that appeals to you? I just skimmed the article, however I quit reading after I read the following, "On the average, variable annuities provide a 7.1% monthly return". This is absolutely false! As an owner of a Registered Investment Advisory firm, I don't appreciate this type of error and hope it was an honest typo that will be corrected.